If you've dreamed of living on a boat but get motion sickness, here's the house for you. 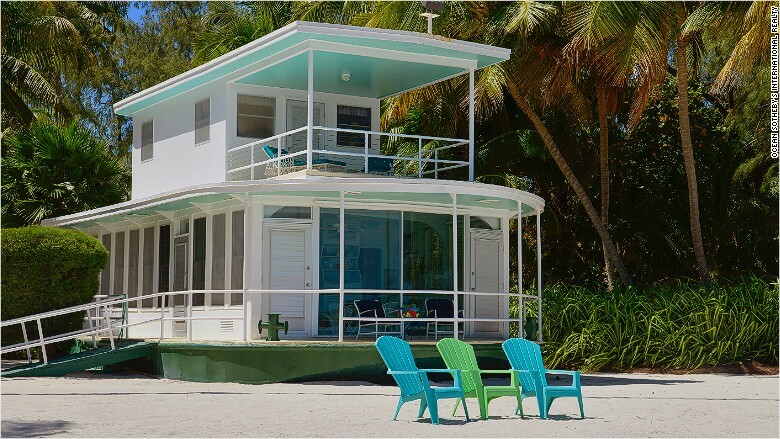 The 60-foot houseboat in the Florida Keys sits on five acres, including 300 feet of beach. The two-bedroom, two-bathroom boat was built in 1948 and Hurricane Donna washed it onto Highway US 1 in 1960. The boat was then relocated to Islamorada, and has reportedly had historical figures on board, including Presidents Harry Truman and George H.W. Bush.